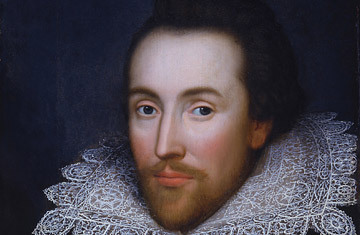 William Shakespeare, the playwright, was one of the most intuitive and astute observers of the human race. A careful reading of his body of plays – especially the histories and the tragedies – show an author who intimately understood human nature and human folly at their very core manifestations. In King Lear, one of Shakespeare’s most gut-wrenching plays, Shakespeare gives us an in-depth look at what dementia – and, most likely, based on the symptoms, Lewy Body dementia – looks like in action in his portrayal of King Lear. From a big-picture standpoint, the play shows in close detail how dementia can destroy a family (and a kingdom), and it shows how family dynamics can hasten the destruction. It also shows how dishonesty with our loved ones with dementia is never acceptable. The summary of King Lear is fairly straightforward. King Lear, a monarch in pre-Christian Britain, who is in his eighties and aware of his own cognitive decline, decides to abdicate the throne and split the kingdom among his three daughters, with the promise that they will take care of him. The first sign of Lear’s dementia is his irrational criteria for how he’s going to decide which daughter gets the largest portion of the kingdom: not by their abilities, strengths, rulership experience, but by which one professes the greatest love for him. His two oldest daughters are duplicitous and try to outdo each other with their professions of love for their father (they don’t love him, but they want the lion’s share of the kingdom). King Lear’s youngest daughter, who genuinely loves her father and who is his favorite, gets disgusted with the whole thing and refuses to play the game. King Lear, in a sudden fit of rage, then disowns his youngest daughter completely. When one of her friends, the Earl of Kent, tries to reason with the king, King Lear banishes him from the kingdom. King Lear’s youngest daughter then marries the king of France and leaves King Lear in the hands of his two devious older daughters. Both daughters are aware of King Lear’s vulnerability because of his cognitive decline and are intent on murdering him so that they can have everything without the responsibility of having to take care of him. They treat King Lear horribly in the process of formulating their scheme to end his life and be rid of him. The youngest daughter comes back from France to fight her sisters, but loses and is sentenced to death instead. While she is awaiting execution the two older sisters fight over a man they both want. The oldest sister poisons the middle sister, who then dies. The man the two sisters were fighting over has been fatally wounded in battle and he dies (but he reverses the execution order of the youngest sister before he dies). After his death, the oldest sister commits suicide. Meanwhile, the youngest sister is executed before the reversal order reaches the executioners. And King Lear, upon seeing his youngest daughter dead, dies too. Woven throughout the plot are signs that King Lear has dementia, that he knows something is cognitively wrong, and we watch him actually go through the steps of dementia throughout the play. King Lear exhibits deteriorating cognitive impairment, irrational thinking, sudden and intense mood changes, paranoia, hallucinations, and the inability to recognize people he knows. Lewy Body dementia seems to be evident in King Lear’s conversations with nobody (he thinks he sees them but they aren’t there) and the sleep abnormalities that are brought out in the play. 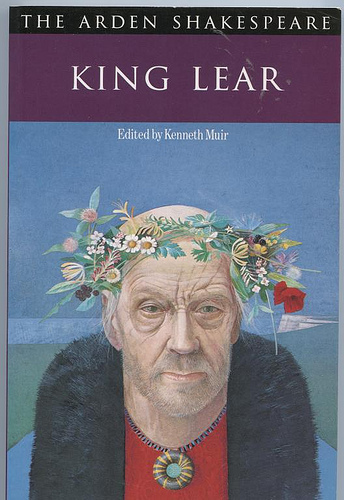 As the play progresses, King Lear’s dementia continues to be revealed in his frequent rages against fate and nature, in his disregard for personal comfort or protection from the elements, and in his eventually having fewer and fewer lucid moments in which he recognizes people and knows who he is. If you haven’t read King Lear in a while or you’ve never read it at all, it is an entirely different experience to read it now with the knowledge of dementia as a backdrop. It’s even more tragic than we even imagined.